EU Ministers today (19 March 2019) formally adopted laws which mean UK airlines, hauliers and passenger bus and coach operators will continue to be able to provide services to and from the EU in a ‘no deal’ scenario. The government believes that the best outcome is for the UK to leave the EU with a deal, but we will continue to progress sensible contingency plans. 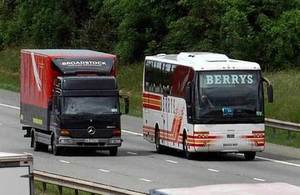 The measures formally adopted by the EU today, together with the UK’s decision to grant equivalent rights, means that UK hauliers and coach operators will have continued access to the EU after 29 March 2019 whatever the outcome. The measures adopted today by the EU will ensure that flights can continue in any scenario; deal or no deal.